Just as in the previous four days, below are my “drawings” following my 1st and 2nd rule set for Day 5 of my six days of my Intro Studio class’s weekly drawing assignment. 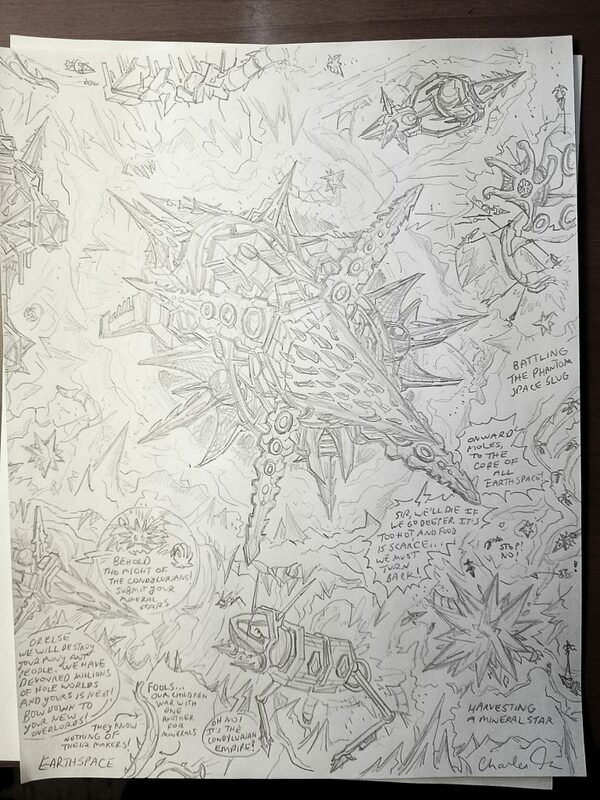 The 1st rule, as before, is: “the drawing must always have a starship in the background, or incorporated into the drawing”. The 2nd rule, as before, is a minimalist expression of whatever I wrote for Intro Seminar 2 for my daily journal entries. 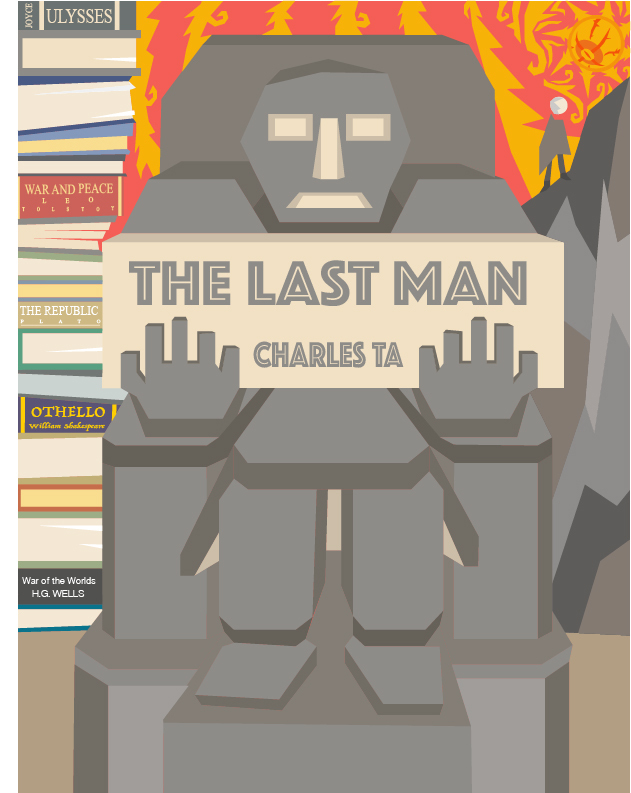 This time, for my 5th Intro Seminar 2 entry, I wrote a post-apocalyptic short story (an idea I’ve had in my head for a while) called “The Last Man”, in which the sole survivor of the apocalypse– who is a rational person, is burdened by his own “calling” to record as much knowledge of Mankind as possible only to realize his own inability to pursue objective truth. After spending so many years alone, he goes insane, and begins to see hallucinations and hear voices in his head… I’ll leave the ending for your own enjoyment.